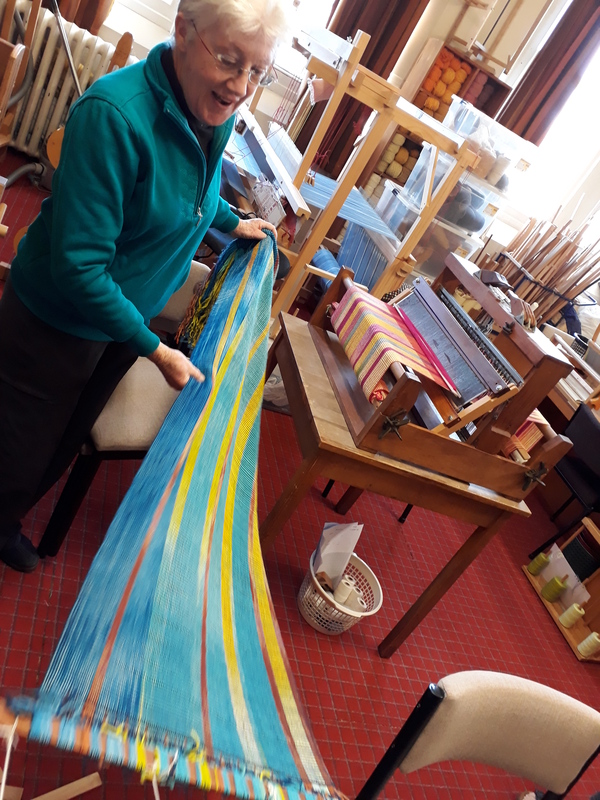 Spend a week in residency with master weaver Christine Keller in Dunedin’s LoomRoom and weave your own multicoloured merino scarf or shawl. Monday 17 Sept – Friday 21 Sept, 9am – 4pm (Friday may finish a little earlier to doll up for the exhibition opening OR a bit later to weave those last inches) – then show off your sparkling new wrap at the symposium! 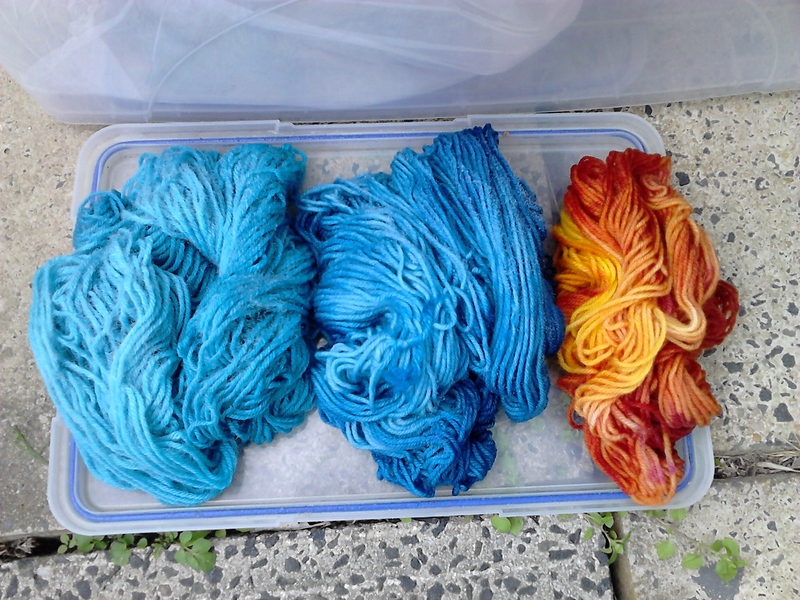 Objective: In this class we will start with some colour inspiration from pictures of objects you bring in and learn methods to translate those into warp dye design. 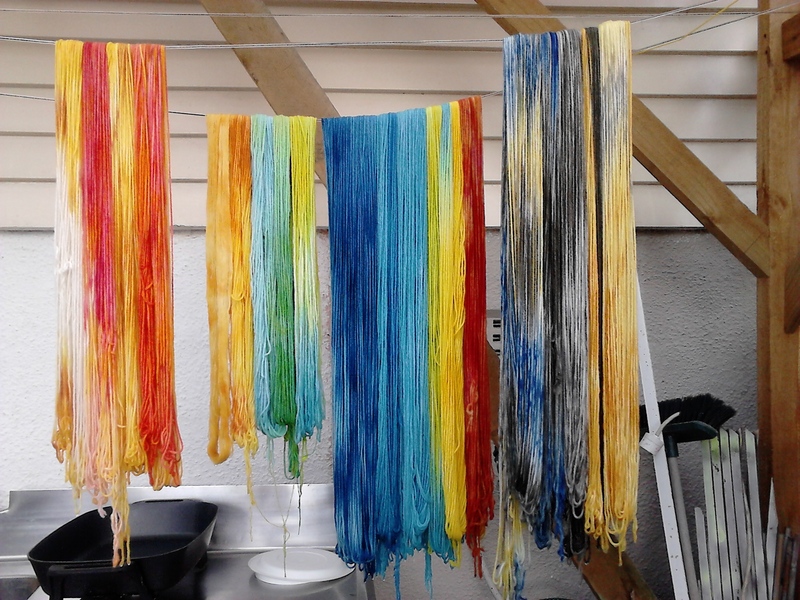 Then each student will dye their warp (provided) accordingly with the appropriate dye method, and we will set up the looms and then weave the scarf in the remaining time. 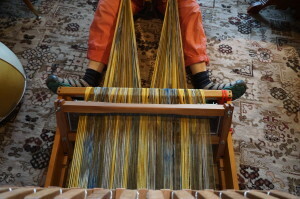 Students should have basic knowledge of weaving and how to set up a loom. However, we will all work together and help each other. The number of participants will be limited to 6. If you’ve never woven but urgently feel you should be there you can ‘rent a buddy’ for an extra $100 and you’ll get one knowledgeable student to help with the set up for one day. If people are fast as weaving I will fill in the time with sharing extra resources, giving talks and you can pick my brain…If we are slower at weaving we might drag out class times into the evenings as needed. 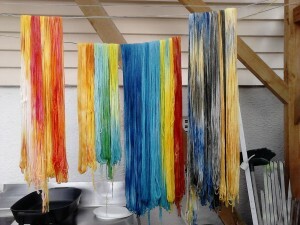 Price: $450 per person, includes all warp and weft, handouts, loom rental, LoomRoom residency, coffee and tea. I hope to see you in the studio for a week of inspiring and fun creation. Please contact Christine Keller at www.christinekeller.co.nz or at mindmade@hotmail.com. 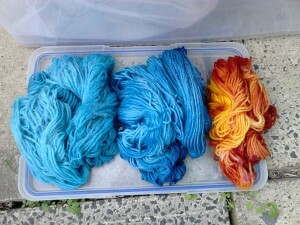 This entry was posted in Artists, Dunedin, Weaving, wool, Workshops and tagged Christine Keller, LoomRoom. Bookmark the permalink.